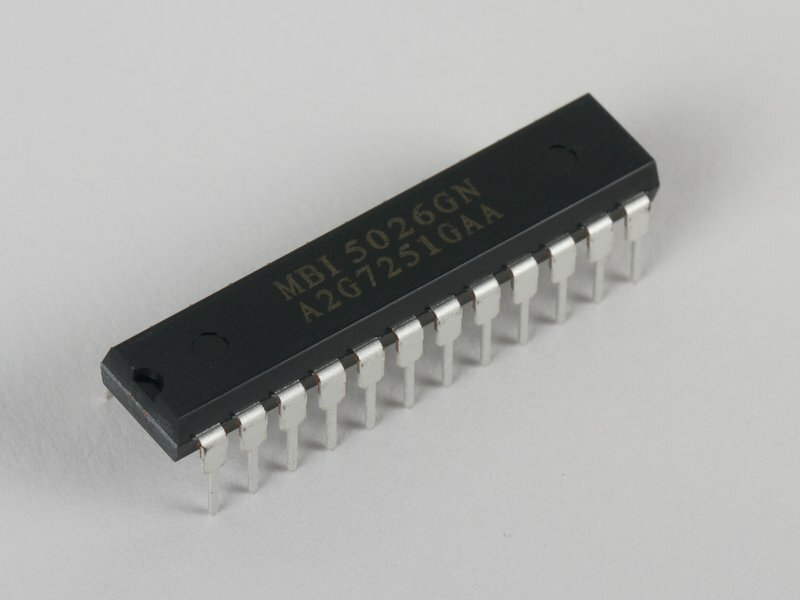 Macroblock MBI5026 LED Driver IC. 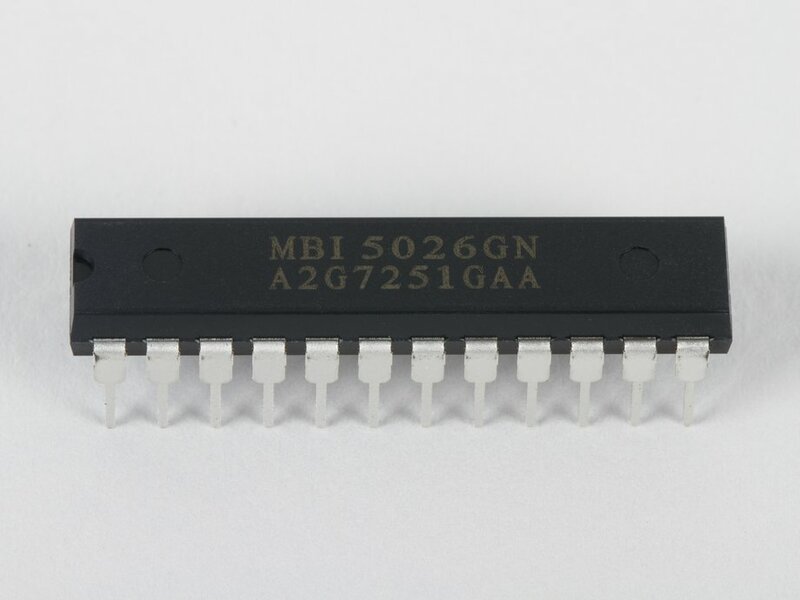 The MBI5026GN is a 16-channel constant-current LED driver chip with shift-register type (serial) interface, in an easy-to-use 24-pin DIP package. We use these in our Peggy 2, Meggy Jr RGB, and Alpha Clock Five kits. 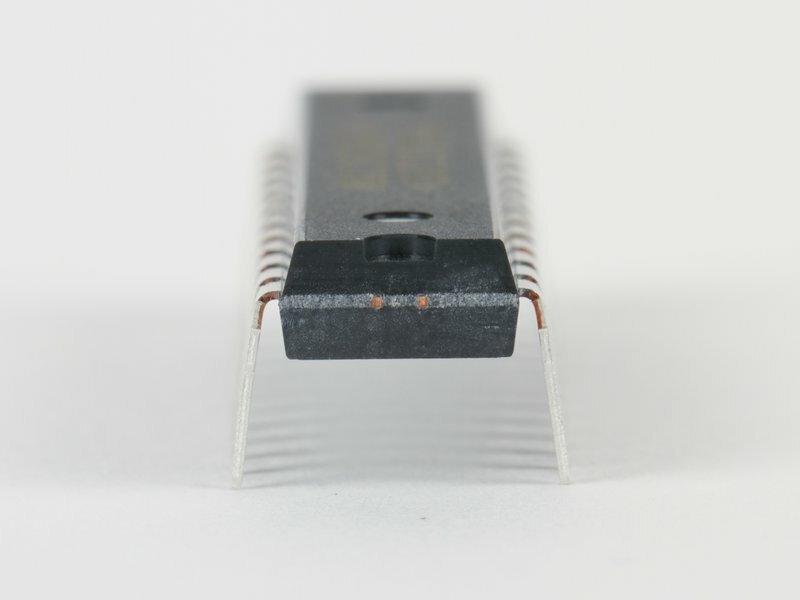 These ICs also serve as a basic-function "drop-in" replacement for the STP16DP05B1R and STP16CPS05B1R chips (which are no longer in distribution).